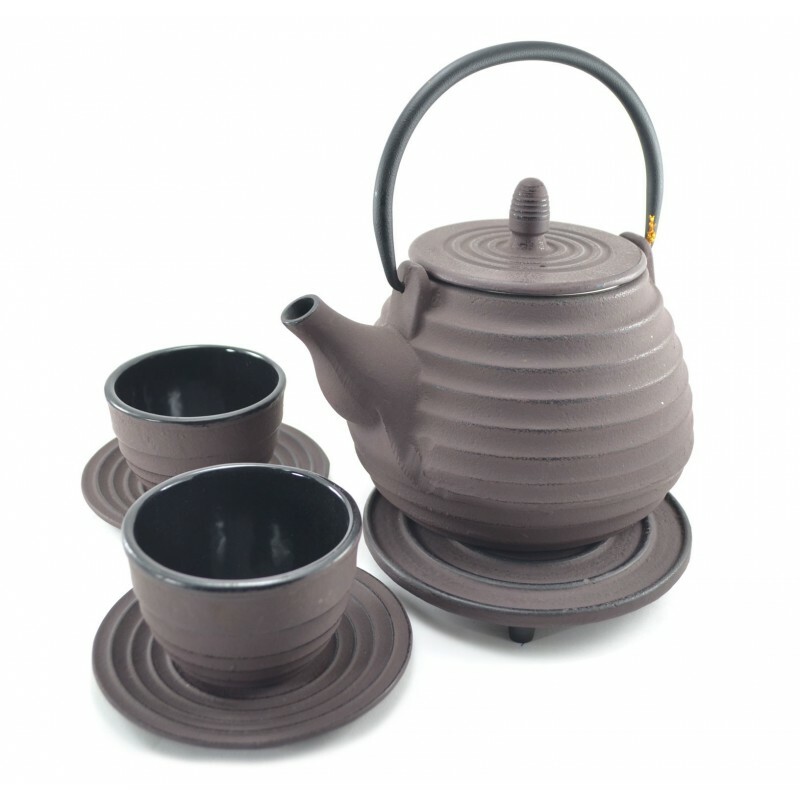 The Plum Cast Iron Tea Set features a lovely cast iron Japanese style of teapot that comes with a trivet, as well as two matching cups and two matching saucers. It has lovely ringed circles surrounding the pot, as well as on the cups. 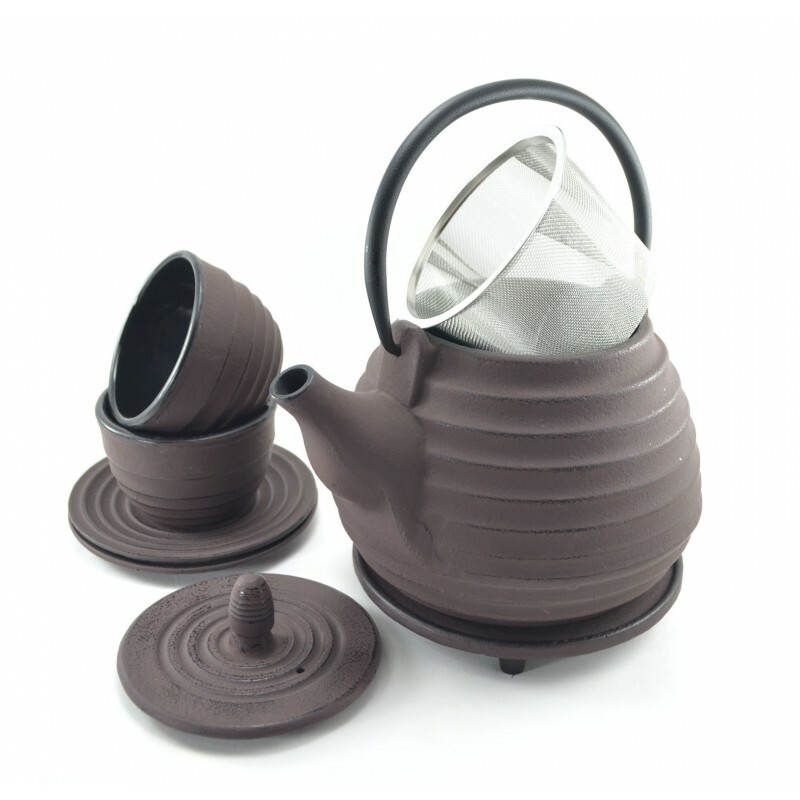 Cast iron is a great heat conductor so your tea stays hot, strong and delicious. Capacity of cup 100 ml or 3.38 Oz. 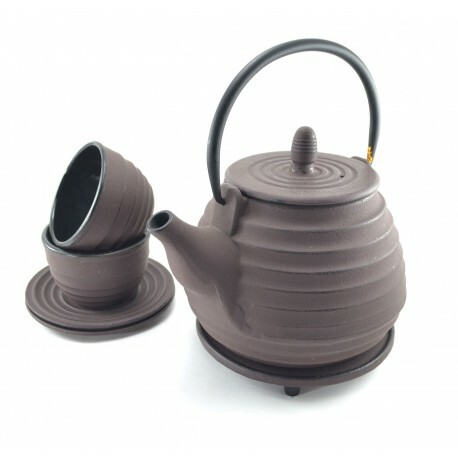 Capacity of Teapot 800 ml or 27 Oz.